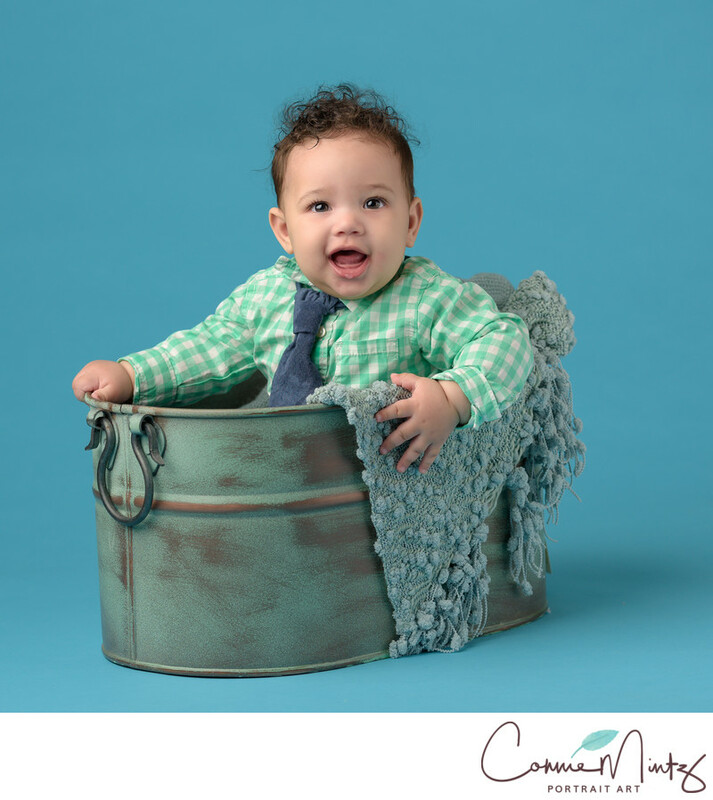 The perfect time to bring your baby into the studio is when he or she start to sit. It's an exciting milestone and you will forever love seeing your baby sitting during the first year. It's so cute! Keywords: 6 months ols (3), blue (9), boy (30), milestone (66). 1/100; f/3.2; ISO 80; 92.0 mm.